I will admit it, I have been a bit spoilt when it comes to scopes. Especially Vortex ones. My first scope from them was a Razor HD II 4.5-27 – basically – the top of their line. It’s phenomenal – but – since then, I have had a challenge getting my head around lesser scopes – it might sound a bit elitest – but I have that for my target shooting and a Z3 for hunting – for that matter, the majority of my camera lens are also Canon L Range – again – top of the line. The reality is, I like good optics – so – when the lads from Extravision handed me one of the ‘lower end’ scopes to review – I was a little dubious as to how it would turn out. The Diamondback line isn’t exactly their entry level – there is the Crossfire and Copperhead below it. However, at an RRP of $599, to me, puts it in the lower end of optics choices. Wait I hear you say – $599 is the lower end? Yes. I reply. In my view it is. I am of the personal opinion that you should be budgeting the SAME amount you paid for your firearm for the optics you put on it. That’s likely going to have some of you gasping for air – but, my thinking is this – the optics are ultimatly what you aim the entire rifle system with – it’s what the final firing decision (target ID, shot placement, etc) are often based off, and it’s the one thing that I think people tend to skrimp on, when they shouldn’t. In the camera world – it’s fairly well accepted that a cheaper camera on better glass is going to give you a better result than the other way around – so to me – I would prefer to have awesome glass, before a custom rifle. So, $599 – not the cheapest option out there – but certainly a lot cheaper than the $3499 you are looking to pay for my Razor HD II, in comparison. I used to include this section at the end of reviews – but realised it’s kinda the most important question of them all – I am getting tired of guys turning up with the wrong equipment for the task – this is often not their fault, especially when you are getting into this sport and trying to absorb the huge amount of information that is out there. Often, it’s a case of the salesperson not even bothering to ask what they want it for, not listening to the answer, or just flat out ignoring them and selling a unit they need to move out of stock. 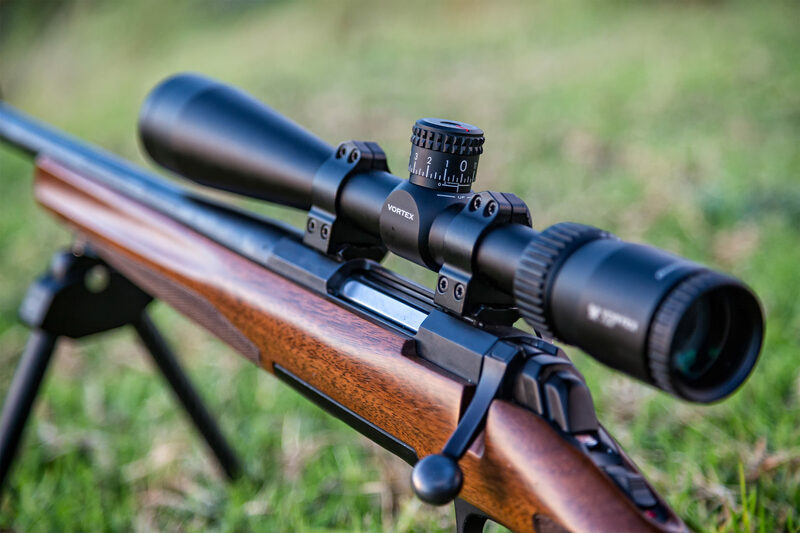 To me, this scope is for someone looking to explore a little bit of medium to long range shooting – quite potentially by upgrading an existing hunting rifle with a ‘target’ style scope. It’s actually quite a good double duty scope – but, with a few caveats that I detail below. I recently had someone try to enlighten me by explaining that most hunters didn’t need a dialable scope. Of course, apart from some iron sights – the majority of optics available are actually dialable – in that – you need to be able to dial a scope up or down, left and right in order to zero it. The thinking behind his reasoning was correct – but the terminology, imho, was a bit off. For most hunters, shooting out to around 200m, they likely won’t ever change the scope setting once initially zeroed in. For these guys, have scope caps over the dials makes sense – it’s a set and forget (and not knock out of place) situation. By comparison – people wanting to regularly dial (hunters going beyond hold-overs, target shooters) really do need exposed, market target style turrets. These allow easy adjustment. However, this brings its own set of admin issues – and, some of which are hard to include at a scope at this price point. No point in writing it out again if there is already a handy table made up! In fact, I also can’t see the point of going over spec’s too much when you can just read them on the manufacturer’s website – more interested in how and why some features are of use to the purchaser. Big knurled knobs, nice clicks – an adjustment that does what you would expect. 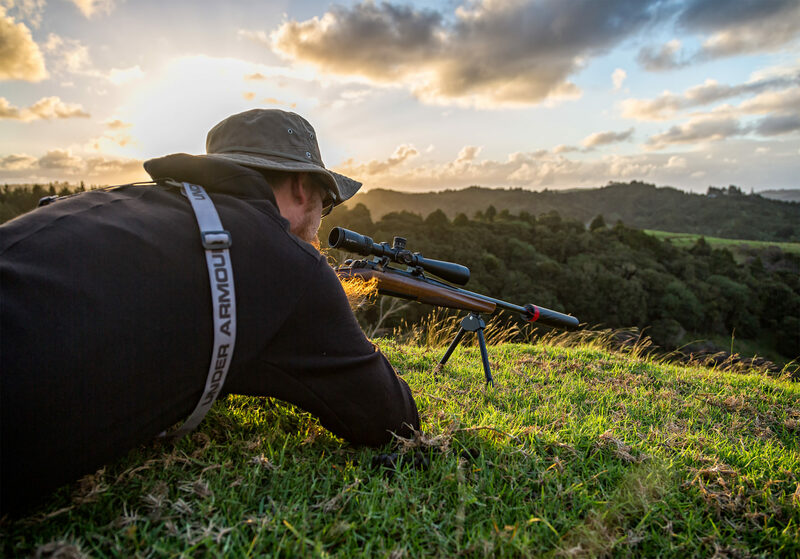 MOA Reticle, MOA Knobs – zeroing, was simply a case of getting it one paper (bore sighting) – then utilising the easy-adjust grid on our targets to adjust a couple of clicks over and down. Count on the target, adjust the scope, confirm, done! Easy. Like it should be. The marking on the turrets is big and easy to read. It could just be because I am about to hit forty. But I appreciate that kind of thing these days. In theory – I could have also used the MOA reticle to simply count and click the adjustment required – but – I find the targets a little more precise for final adjustment – and I was up and stretching my legs anyhow. In fact, really; it was one of the quickest and easiest scopes to zero I have have worked on for a while now. One feature I did really like was the simple Zero-Reset. All you do is lift up the knob, turn it around to where you want, and push it back down. This is the same system that is in my Z3 – and I have grown to appreciate it over the ‘loosen the knob, pull up a little, not too much, push back down, hold it down, realign the knob, tighten the screws’ system that many scopes use now. I have had, with several other scopes, fun and games while you have to get up, find an appropriate Allen Key, muck around with tiny screws (drop and nearly lose a screw in the grass) and generally faff around. With the Diamondback, once I knew the scope was zeroed I simply reset the knobs, without even having to break position from behind the gun. Love it! Oh, and the markings line up with the actual scope – unlike some other scopes I have. So, for the price, there is going to have to be some compromise in the Vortex Diamondback – either it’s in the optical quality, or the features included. Especially when features are a mechanical function – removing options and complexity is one way to reduce manufacturing cost, and therefore, end purchaser price point. So, what isn’t in the scope? Zero Stop, essentially means that if you dial the scope all the way back down to ‘zero’ – either bang on or slightly below (in the case of some of the higher end scopes) the adjustment turret stops and won’t let you go any further. Essentially, it ‘stops’ at the zero. Every time. This scope doesn’t have it. This is probably the big one for me. The main issue I see with guys who have target scopes, in budget options, is losing their zero when dialling back down. 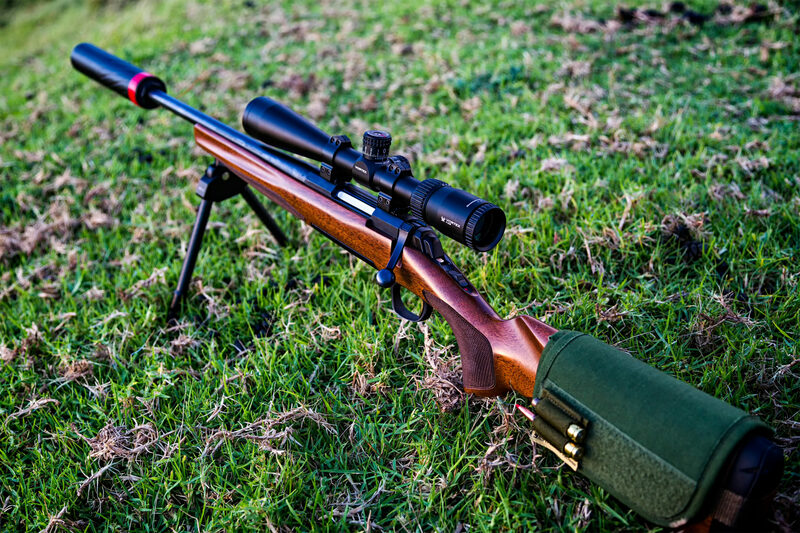 While yes, in theory – all you have to do is zero your scope back down after shooting a target/stage – the common reality is, in field conditions, you forget to do so, and either move to a new area to shoot or, just put the rifle away altogether. You come back to the rifle, and now, can’t quite remember if you already have a full rotation on the scope (shooting out far), or, if the scope has been knocked, and you don’t know if the dial is actually above, under are somewhere around the original zero. Being able to quickly and reliably get back to the scopes zero is kinda important. 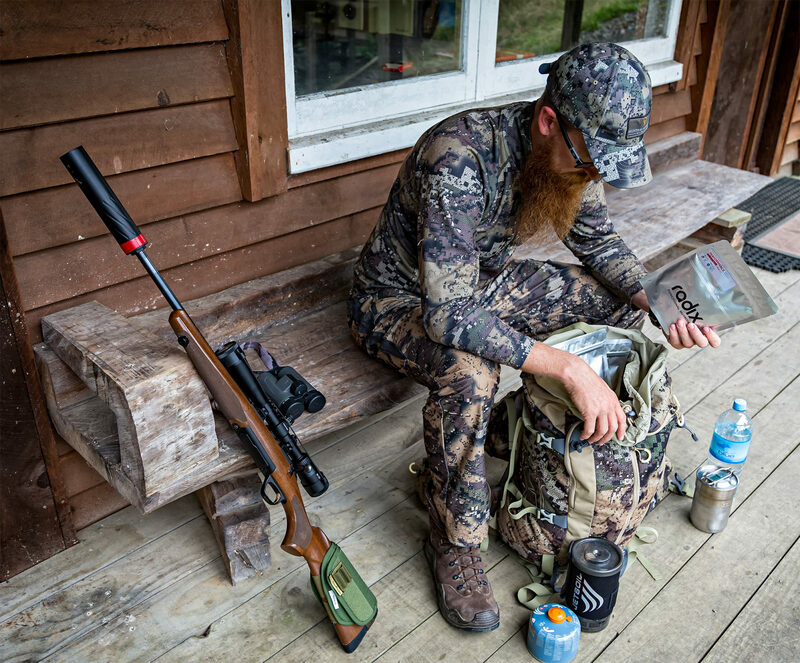 While in a competition setting it doesn’t matter so much, in a hunting situation it could leave you guessing where the rifle is actually shooting. Not a good thing. For the hunter, or the hunted. While the ‘traditional’ covered dials remove knocking the turrets as a problem, and a locking turret can do the same thing – this is somewhat negated on target turrets if they have a zero stop. Kinda alluded to this above – but I would be much happier just having a zero stop than a locking turret. So, not a major – true – the windage knob could be knocked out of place accidentally – but generally – it’s not going to get knocked out a full rotation – so an educated guess on correction is acceptable. So, again, in keeping with the nature of the budget of the Vortex Diamondback – I guess we can live without it – however, because the parallax is set to 100 yards, it means it’s a little too far to really be used as a .22 scope – which is a pity – because it would have been awesome for use on the 10/22 build. Again – a whack of this is actually personal preference – but the way I work these days, I like a first focal plane scope. I know many shooters, who shoot further than I do that prefer the second focal plane. This is so subjective it’s painful – however, let me put it this way – unlike some scopes I have looked through recently – there was nothing distracting me, in regards to scope quality when looking through this scope. I didn’t see any chromatic abrasion (which normally you get in the higher powered scopes anyhow) and the edges of the optics didn’t have any fuzzy characteristics to them which often catch my eye on the really cheap options out there. In short, the optics on the Vortex Diamondback are great – sure – not a ‘sharp’ as in the Swaro Z3 is temporarily replaced – but it’s also half the cost. I took it hunting at twilight, and while I didn’t (need to) hunt with it into the real dark side of things, I didn’t feel any shortage on the amount of light I was getting with it, even looking across the valley into the dark edges of the treeline. I was a little at a loss as to which firearm to put this scope on. Sure, I could have put it on the main target rifle, but realistically, it would have been a mismatch to the scope. Instead, I put the Vortex Diamondback on a 7mm08 Browning – primarily a hunting rifle – but one that can be stretched out a little more when needed. After a really quick zero, it was off up a hill. And, as I alluded to in the video, the scope just did what it needed too. So, testing at the range, on a hunting rifle – this scope is good to go. While, personally, I would probably struggle to live without zero stop – and would, therefore, suggest actually purchasing the Viper PST – buy once, cry once. 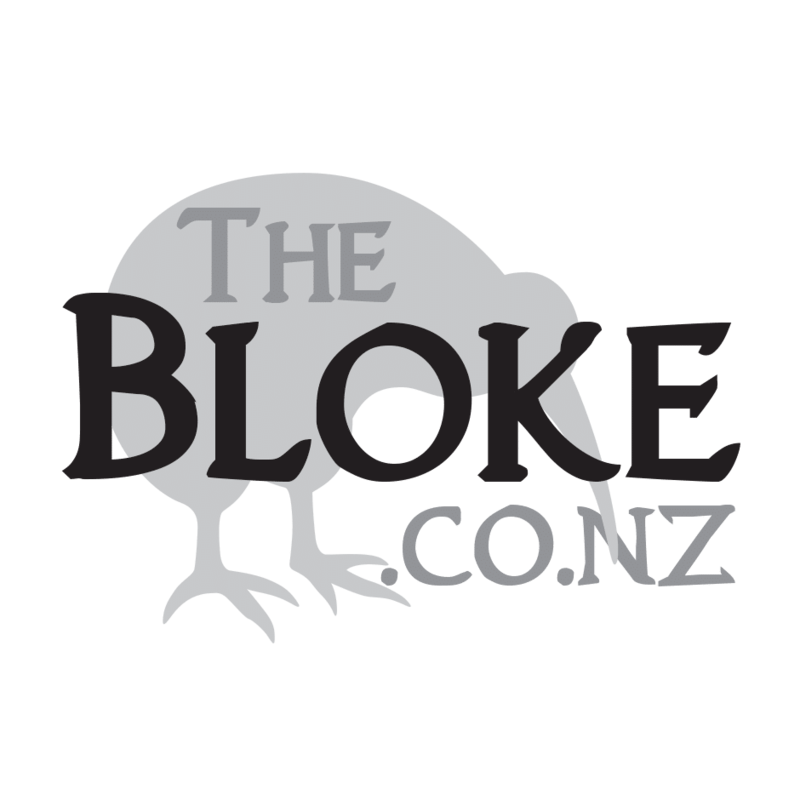 However – for those dipping their toes into the world of tactical scopes – this is a good option.